Refresh your casual wardrobe with this vest top. 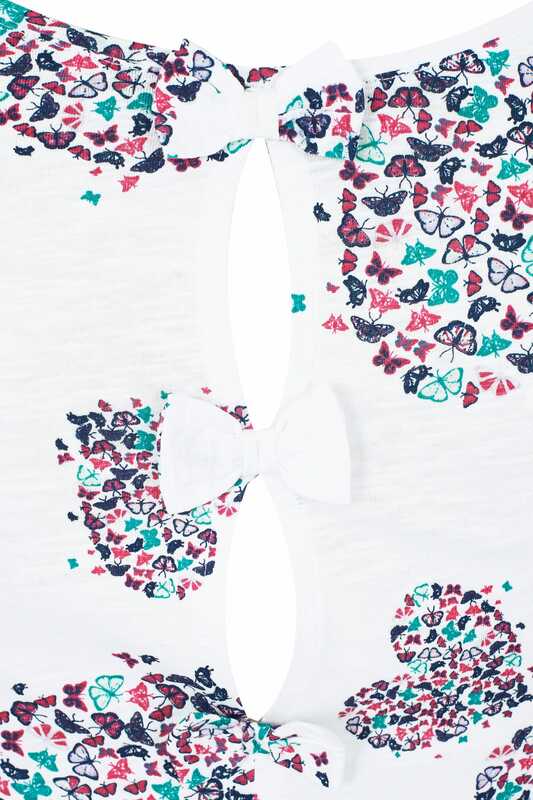 Made from cotton for the ultimate comfort, it features a scooped neckline and rear cut outs with pretty bow details. Team with light washed denim and flats for a stylish daytime look. 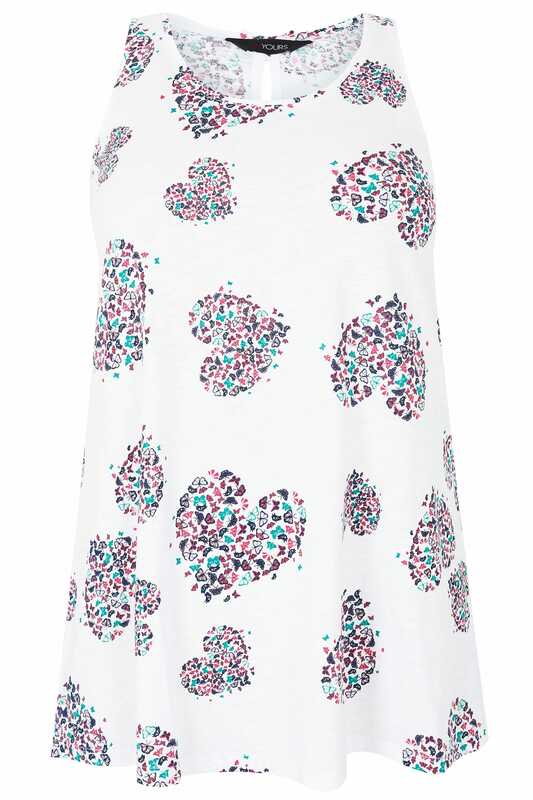 Comfortable and easy-to-wear, we love the tops bright and bold heart and butterfly print.